WINTECO misting humidifier fan is a very good product for summer time especially in outdoor and open space like restaurants, bars, swimming pools, parties, resorts，patio, especially for commercial and industrial use like textile factory, coal and mines, to increase the air humidity, control and eliminate the dust in the air. WINTECO mist fan is with very big misting volume, we are confident to say that the misting volume of our mist fan is almost double than normal mist fan with same size in the market. we install very powerful motors and big water pumps, which combines with our well-designed misting unit makes our misting fan more powerful and better cooling effect. 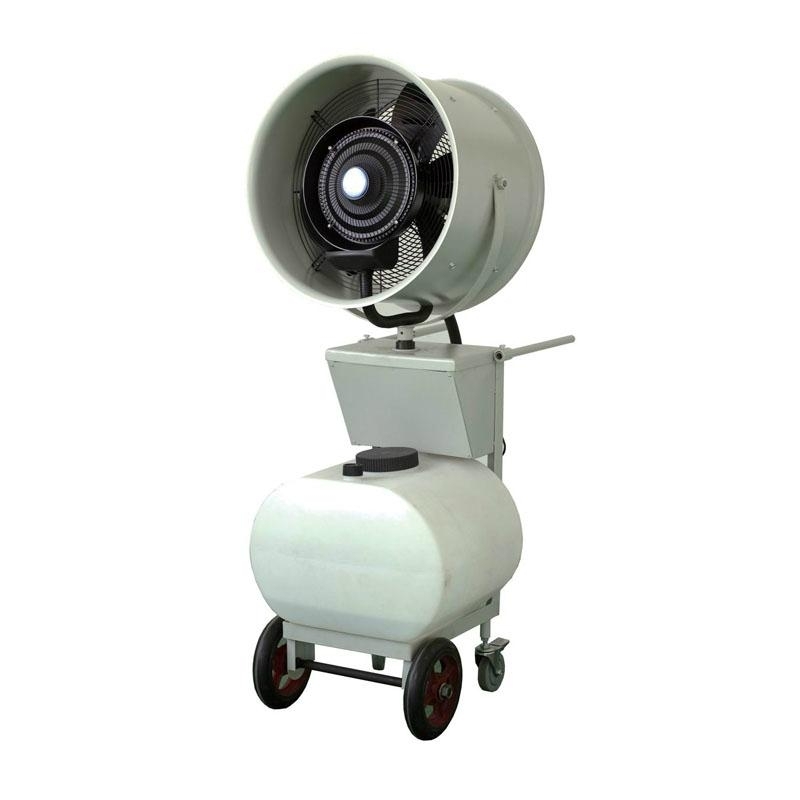 WINTECO centrifugal mist fan is very easy and convenient to operate and maintain, there is no problem about nozzle blocking because centrifugal mist fan use submerged water pump and applies centrifugal misting technology,there is no such problem even in dusty area. WINTECO mist fans are with very stable and high quality, we test each parts during production to ensure the quality. we offer 1 year manufacturer quality guarantee, during the period of guarantee, if there is any problems for electrical parts, we will offer parts free of charge, and we will continue to offer parts at cost price even beyond the guarantee time, so clients do not need to worry about our quality and service. Thank you for your support to WINTECO products, please contact us freely for any more information.